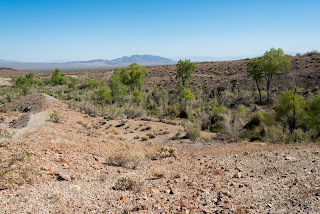 Oak Creek Energy Systems, under a subsidiary known as Crescent Peak Renewables LLC, has submitted initial plans to install up to 220 giant wind turbines in southern Nevada, just outside of the scenic Mojave National Preserve, according to documents submitted to the Nevada Public Utilities Commission and obtained by Basin and Range Watch. 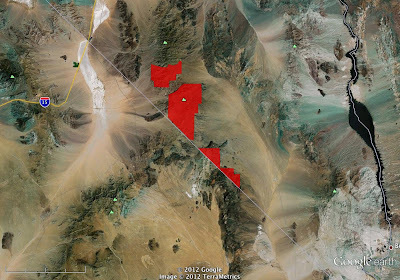 If built, the Crescent Peak Wind project would fragment and industrialize approximately 58 square miles of remote desert habitat, threaten raptors and likely impact nearby Wilderness Areas and an Area of Critical Environmental Concern. [Click on image to expand] The Google Earth image above depicts the approximate boundaries of the proposed Crescent Peak Wind energy project in red, which is located in Nevada along the border with California. The scenic Mojave National Preserve is just across the border to the west and south, as well as the beleaguered Ivanpah Valley. Oak Creek Energy Systems, which is ultimately controlled by the Japan-based Marubeni Corporation, has expressed interest in developing a wind project in the area since 2006, according to Bureau of Land Management records, and was granted permission to install wind testing equipment in 2009. In the meantime, Oak Creek has been responsible for some of the destruction of desert habitat in the western Mojave Desert at the Alta Wind Energy Center near Tehachapi. 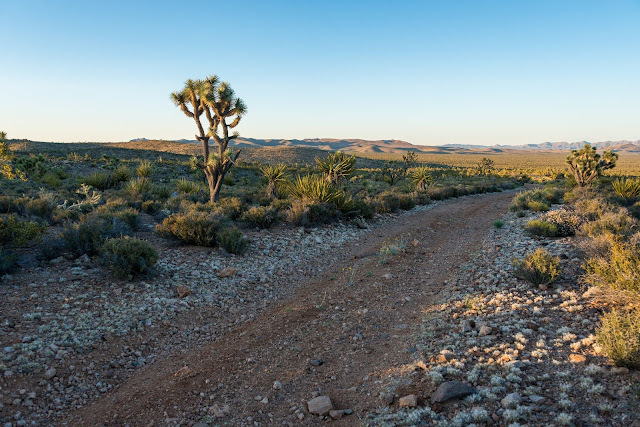 The Crescent Peak Wind project would industrialize the heart of the Mojave Desert, destroying views from the Mojave National Preserve, a beautiful Joshua Tree woodland at the Wee Thump Wilderness Area, and the South McCullough Wilderness Area. The turbines almost certainly would pose a threat to raptor species in the region, including golden eagles, and require dozens of miles of wide dirt roads to accommodate construction traffic, fragmenting pristine desert. Energy development is already taking its toll on the nearby Ivanpah Valley, with two giant solar projects built or under construction. To the east, Duke Energy plans to build the Searchlight Wind project, which is expected to displace or kill dozens of threatened desert tortoises. 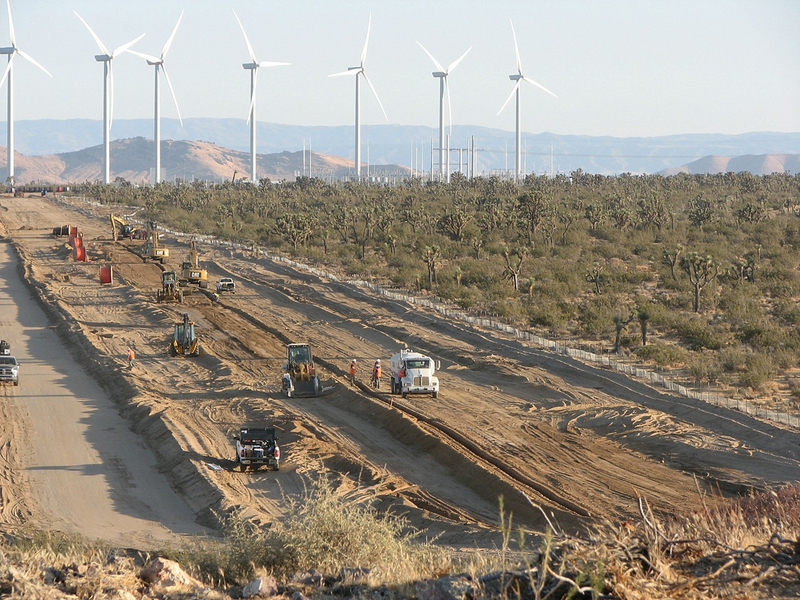 Some of Oak Creek Energy System's work in the western Mojave Desert, where it has installed wind turbines for the Alta Wind Energy Center, and destroyed Joshua Tree woodland. Photograph by Friends of Mojave. 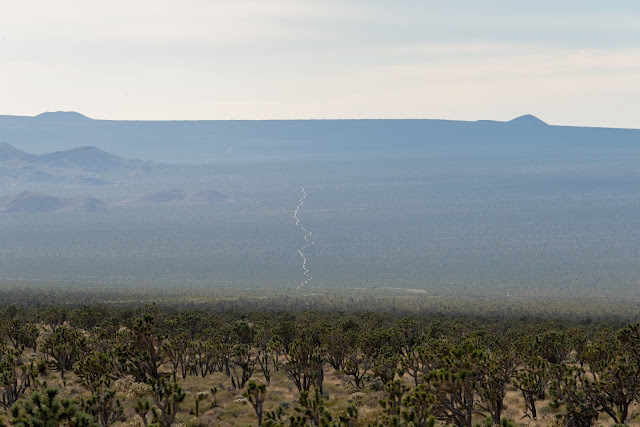 This is absolutely a knife in the heart to the Mojave National Preserve, the Wee Thump Joshua Tree Wilderness, and the South McCullough Wilderness Area- as well as about the final nail in the coffin for the Ivanpah Valley, just a few short miles away over the hill. Thanks for this timely news, as alarming as it is, perhaps there is still time to try to derail this planned industrial development in the scenic Mojave.